Continuing on the International theme, here is a jersey I customized for a friend of mine. His son (who I think was in the wedding party) wanted to give a couple gifts to the bride and groom: A soccer jersey for the bride with the nation of the groom's ethnicity and a hockey jersey for the groom with the nation of the bride's ethnicity (it may have been the other way around but I'm pretty sure it wasn't). In any case he game me the name and number to put on it. 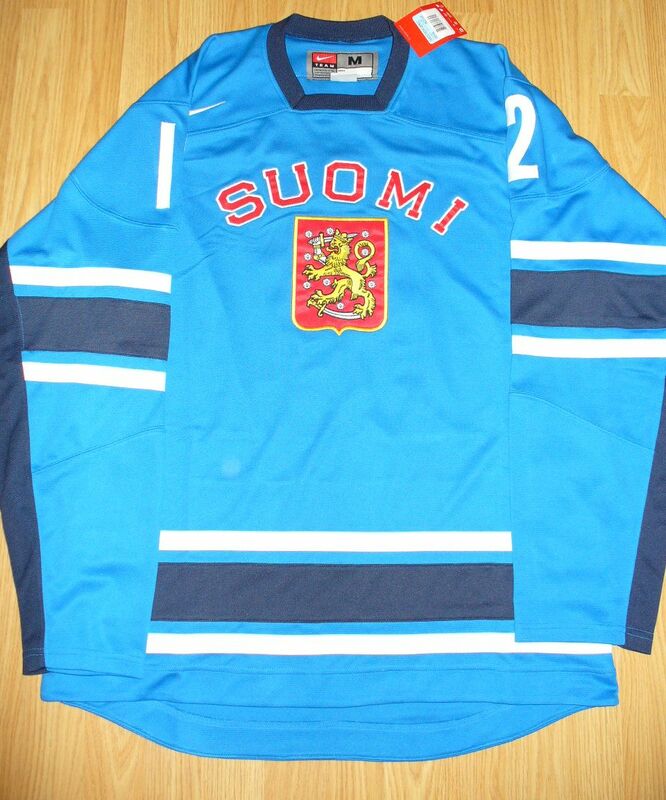 He had a 2010 Finland replica hockey jersey. He wanted me to customize this one. 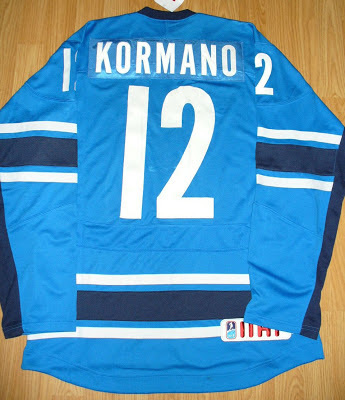 He wanted it done fairly quickly and wasn't concerned about the fonts for the name and number, but I looked online at game worn jerseys and tried to find some fonts that were close to the ones actual used. I used League Gothic for the numbers and Alternate Gothic 1D for the name. 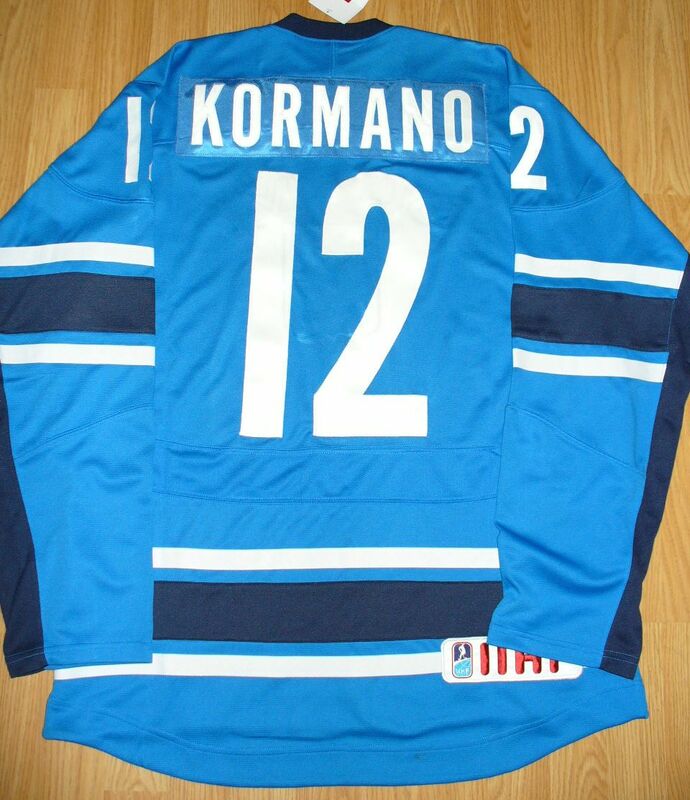 The #12 was chosen for the year they were getting married (2012).